Suitable for micro four thirds camera,Panasonic MFT lens,Panasonic Lumix ,Olympus. Please check with seller if you are not sure if this lens compatible with your camera or not. 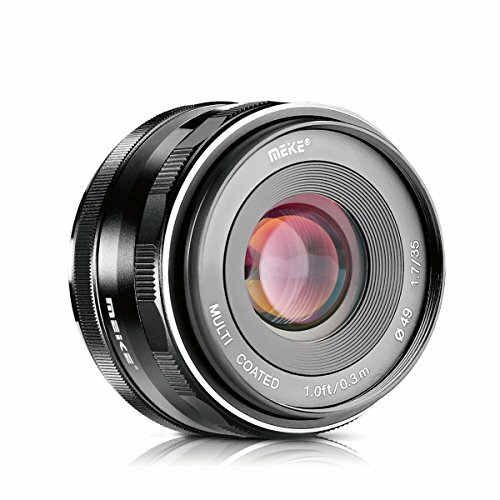 Note:It is manual lens,when you use camera with this lens,you need to set camera to'Release w/o lens"
Compatible with Panasonic G1 G2 G3 G5 G6 G7 GF1 GF2 GF3 GF5 GF6 GM1 GM5 GM10 GX1 GX7 GX8 GH1 GH2 GH3 GH4, Olympus epm1 epm2 E-PL1 E-PL2 E-PL3 E-PL5 E-PL6 E-PL7 E-M1 E-M5 E-M10. View More In Camera & Photo. If you have any questions about this product by MEKE, contact us by completing and submitting the form below. If you are looking for a specif part number, please include it with your message.